Steve Jobs, the tech visionary who changed the way we watch TV and movies, listen to music, and use computers, died on Wednesday. By Friday he was in development. 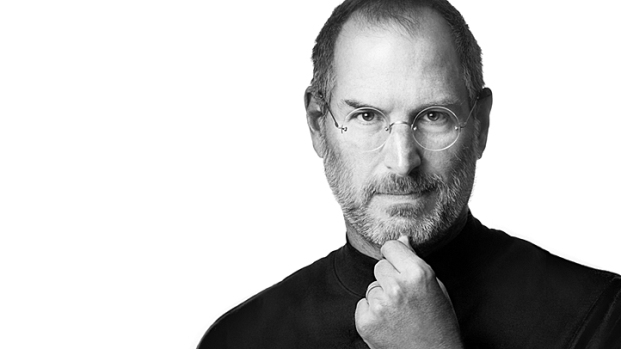 Sony Pictures acquired on Friday the film rights to the authorized biography, "Steve Jobs," reported Deadline. The book, by Walter Isaacson, president of the Aspen Institute, had its publishing date pushed up to Oct. 24, 2011. The book is already #1 over at Amazon. To be fair, what's surprising about the timing of the Jobs biopic is that it didn't come together even sooner. Sony's been doing brisk business in the business-posing-sentimentalist genre, with last year's "The Social Network" taking in more than $200 million and earning eight Academy Award nominations, while "Moneyball" is poised to break $50 million and generating modest Oscar buzz. Jobs' previous screen incarnation came courtesy of Noah Wyle in "Pirates of Silicon Valley," co-starring Anthony Michael Hall as Bill Gates. TNT aired "Pirates" on Thursday as a tribute to the late titan of industry.